Jubilee Bee Honey Nicaragua Bee Keeper Sustainability Project: Partner with us in our support of the honey worker co-ops in Nicaragua. We are getting ready to launch this new honey sku. The Jubilee Bee Honey is named after the 501c3 charity, Jubilee House. Bee keeper sustainability projects have been an important part of our work at Once Again. About 17 years ago, Jubilee House, contacted Once Again Nut Butter’s co-founders, Jeremy Thaler and Constance Potter regarding growing sesame seeds for Once Again’s Tahini. After a visit from our founders, Jeremy made an inquiry about the possibility of having the locals source honey. Jeremy and Jubilee House contacted and began working with three honey producing cooperatives: Las Flores, San Ramon, and COSAP in Mateare (started by a group of nuns). These 3 co-ops were in need of start-up help and the Jubilee House assisted them in getting their bee farms organic certification. Once Again supported their work through an interest free micro lending initiative that was used to expand the co-ops production, add hives and build a processing room along with the investment in some equipment. Later, upon the success of the bee co-ops, Once Again purchased their honey and donated the balance of the loaned funds to set up the bee farms expansion needs. Today, you can taste our collective sweet success. Get ready to enjoy, Jubilee Bee Honey. This South American honey is harvested by the indigenous bee keepers of the Amazon. Fear the killer bee, prolific and hardy pollinators known for aggressively protecting their hives, but have no fear of our wonderfully rich tasting aromatic killer bee honey. You’ll enjoy every sticky drop. Collected by small communities of bee keepers through different flowering seasons. This honey is meticulously gathered and blended from a variety of beautiful wild rainforest flowers in Brazil. Enjoy our rich and aromatic honey. 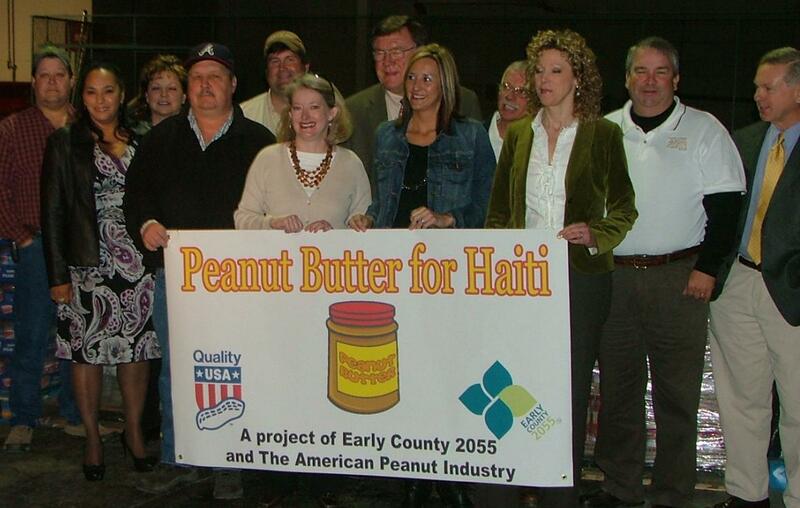 The American Peanut Council coordinated the collection and shipping efforts for peanut butter companies to donate to Haiti earthquake victims. Once Again donated a pallet of 9lb containers to the 501c3 charity, Food for the Poor for the earthquake victims in Haiti. Food for the Poor works with 5 orphanages in Haiti and since 2008 have set up more than 8,000 single unit houses and provided daily feeding programs. 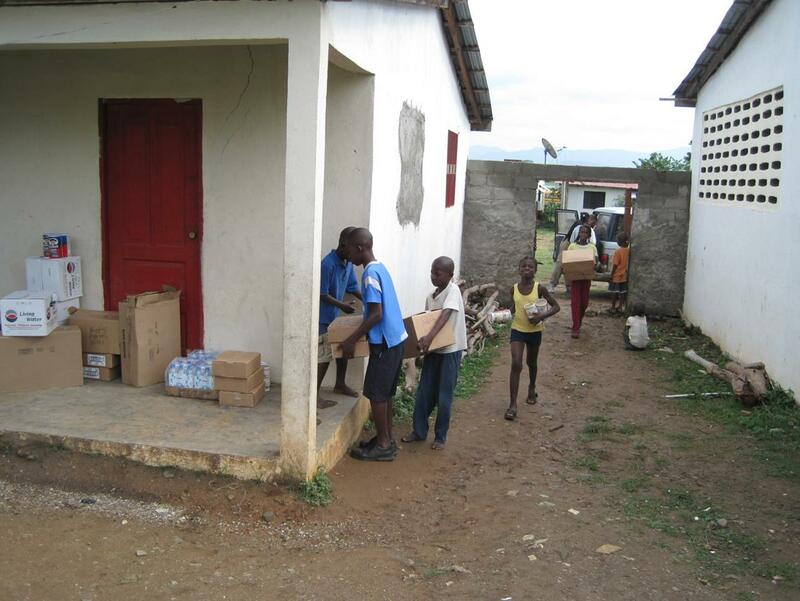 They also provide education and educational materials to schools in Haiti. Food for the Poor is the largest development and relief organization in the United States. The Haitian Children help unload the peanut butter.